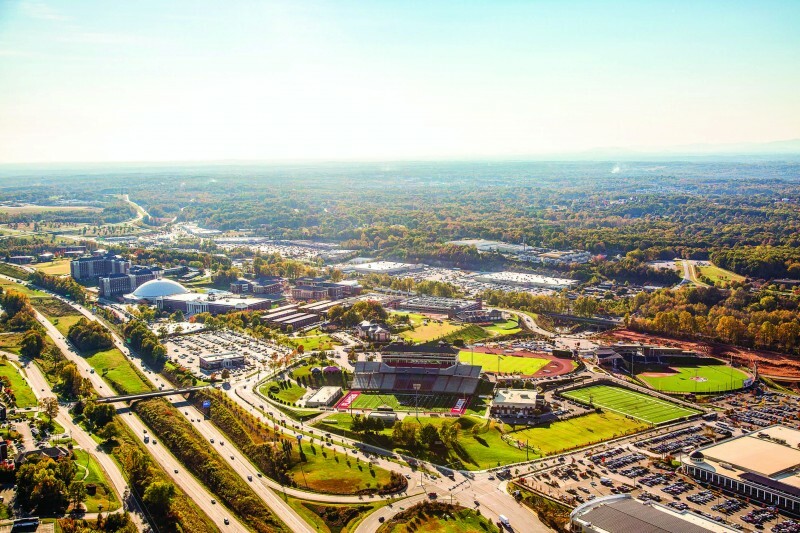 Once a small and private campus, Liberty University has flourished into a school with a world-wide reach. Since 2007, the university has witnessed a variety of changes regarding the appearance of campus, the addition of academic programs and the transition of leadership. Nonetheless, Liberty has stayed consistent to Dr. Jerry Falwell Sr.’s original vision while still making the necessary improvements to grow and have a larger impact in the world. Hine said he has enjoyed working under both administrations and feels blessed by the school’s level of leadership and integrity since his arrival near the beginning of the university. “God used Doc Sr. to establish the foundation, tenacity and the can-do spirit that exists in this place, and his son to come behind him with the mind to take what is established and allow God to use him to build what we see today,” Hine said. Founding Dean and distinguished professor of religion Dr. Ed Hindson said when Falwell Jr. stepped up to the position 10 years ago, he brought a much younger focus to the university. In addition, Hindson said Falwell Jr.’s energy has helped give the campus a revitalized look and feel. Hindson said Falwell Jr.’s sense of structure and design has inspired much needed change on campus. While these updates have improved the efficiency of the buildings and facilities, Hindson said they have also helped attract a new group of students to the school. Fine said the impact of Liberty’s population has stretched far beyond campus and into the local Lynchburg community. In fact, he said a lot of the hotels and restaurants on Wards Road and the downtown area have sprung up as a result of the growing student body. Hine said the city has also made a lot of road improvements to accommodate the constant traffic coming in and out of campus. Ron Hawkins, provost and chief academic office, said the more recent growth of technology has also made it possible to grow the online programs and better serve the residential students. He said the school now offers more than 500 degree completion plans with hundreds of specific concentrations. In addition, Hawkins said Liberty is dependent on technology for the campus programs, including BlackBoard and the meal swipe system. “We’ve built more and more opportunities for our students, provided them with better facilities, and raised the quality of our academic programs so that a Liberty education is on par with the best they can get anywhere,” Hawkins said. As the school and is academic programs have evolved, so have the campus guidelines. 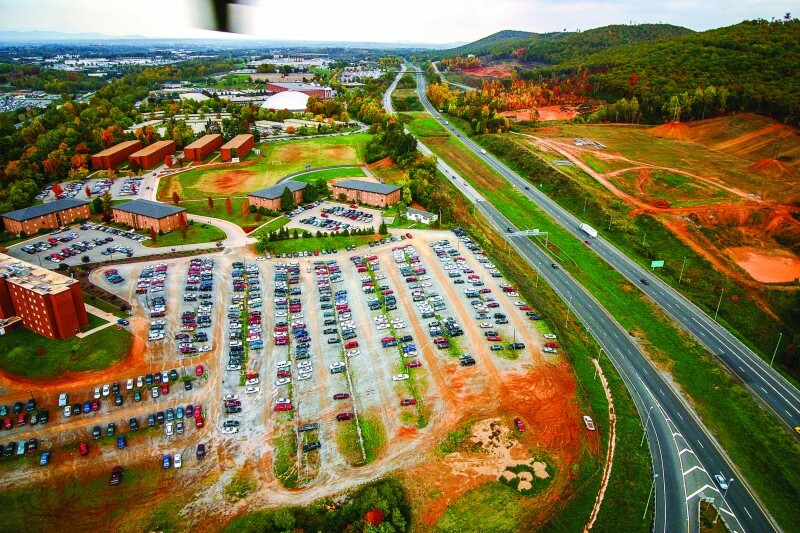 While significant changes have been made to the Liberty Way over the past decade, Hine said the university has not changed in its original mission. He said the leadership as Liberty has always worked to foster a compassionate and redemptive atmosphere for students. Photo by Kevin Manguiob on October 22, 2015. Overall, Hawkins said he is excited about the even greater work God will do through Liberty in future years.